Our eye doctors work hard to help our Copperas Cove and Killeen patients find ways to lower the expense of healthy vision. We accept a range of insurance plans that offer helpful solutions, and our staff will review your policy with you to explain the coverage – and how to make the most of it. There are two types of insurance for eye care: medical insurance and vision insurance. Basically, vision insurance covers your optical needs, such as annual vision testing, eyeglasses, and contact lenses, it does not cover any part of your eye care that is classified as “medical.” Many vision insurance plans also do not cover contact lens fittings and yearly evaluations. Examination of patients who use medications with possible ocular side effects, such as steroid medications, arthritis medications, etc. When you call our eye care centers to book an appointment, be sure to tell us the purpose of your visit. That way we can bill the appropriate insurance. Clarify the deductibles and copayments involved. You will need to pay the deductible, which is then subtracted from the balance. If you require both optical and medical eye care services (such as checking your vision prescription in addition to inspecting your cataract development), we can coordinate the benefits of your vision insurance and medical insurance plans in order to help you minimize your expenses. You may be able to use one policy to cover your eyewear and another to cover your medical needs. 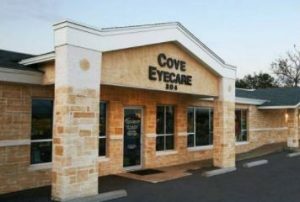 At Cove Eyecare, we serve Copperas Cove and Killeen with the most value for healthy vision! Our team will be pleased to help you understand your insurance policy and the best ways to use it. 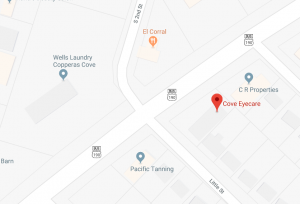 For more information, contact our optometry office in Copperas Cove.